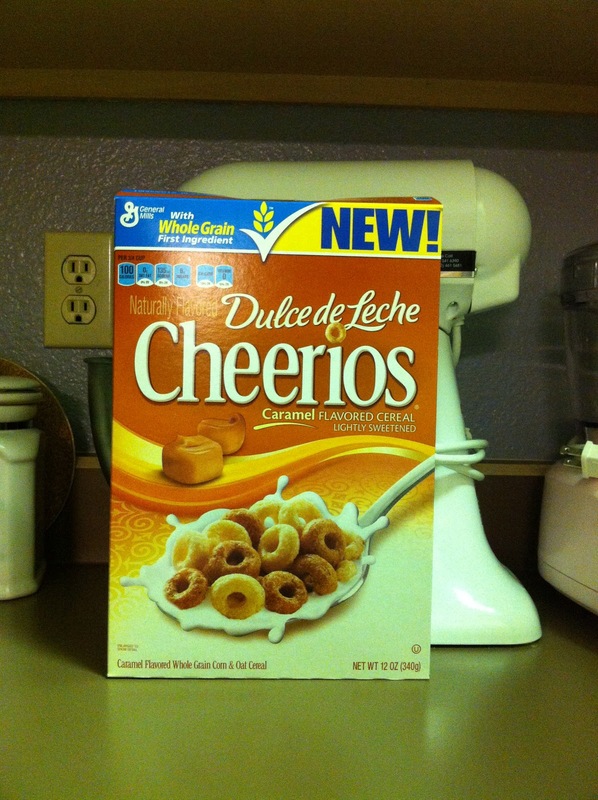 Since the 1940's, "Cheerios" have graced many an American breakfast table...what's more 'white bread American" than a bowl of Cheerios, right? Culinary multi-culturation continues. Just had to share. "Okay, so you want a double 'dul-che' de leche latte?" To which I would patiently reply, "Yes, I would like a DOOL-SEH de leche latte." "Okay, a 'dul-che' de leche latte for you, um, what's your first name?" 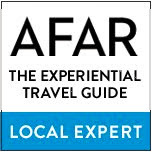 Please--know how to pronounce what you serve. know the difference between Italian and Spanish, POR FAVOR! PER FAVORE! No, that wasn't a rant. 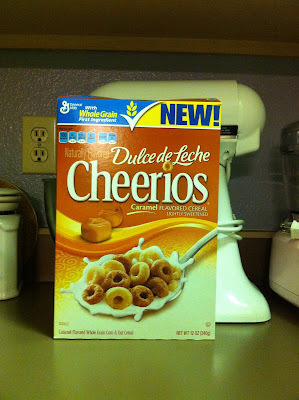 Time for a happy taste to take you to a happy place: dulce de leche breakfast cereal--Bon appétit, amigos!